biszet b20 — the elegant sideboard with an opulent bar. 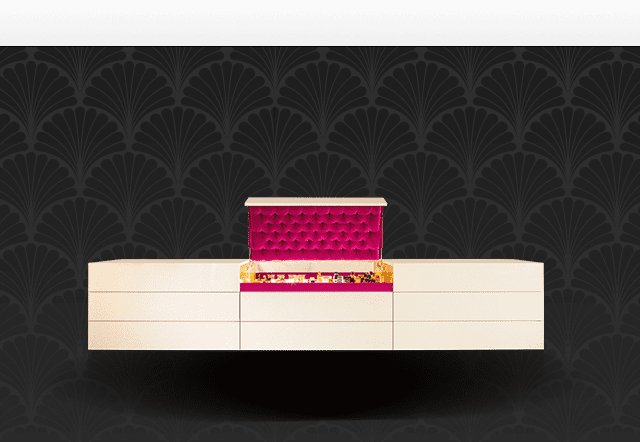 A magnificent and elaborately designed piece of furniture made of the finest materials. An exciting combination of a puristic outer appearance and lavishly playful compositions inside the bar. A new bar culture for your inspirations. 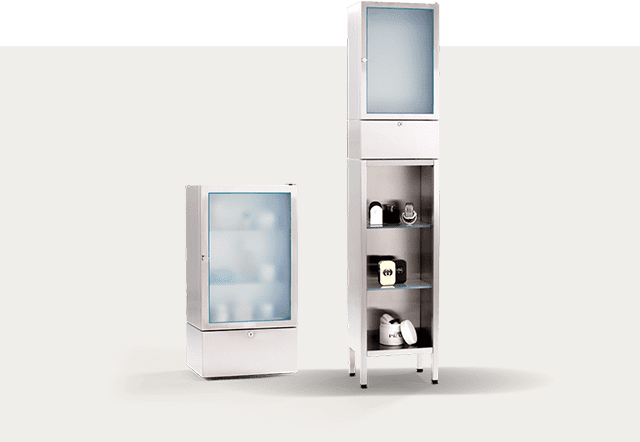 biszet b7 — the cosmetics cooling cabinet for the most sophisticated tastes. biszet cools your luxury cosmetics at the optimum temperature. For maximum effectiveness and flawless freshness on your skin. Purist design and technical precision. The first top-notch cosmetics refrigerator for your bathroom.